What the Hell Happened to...Earl Williams? Most people know how I lament the lack of true big men in today's NBA. Well if size used to be more a factor before the Small Ball Era that we've embarked upon, don't tell this guy. At 6'7, he played mostly center and power forward and was known for his tenacious rebounding. If I were to tell you there was a former Celtic named Williams who converted to Judaism and stayed in Israel during the Saddam Hussein Scud Missile Attacks of 1991, you might think I was full of crap. But if so, you wouldn't remember this week's WTHHT featured player, the second "Earl the Twirl" (after Tatum), Earl Williams. He attended Woodrow Wilson High School in Levittown, PA (today known as Harry Truman HS) and then Winston-Salem State University.In the 1974 NBA draft he was taken by the Phoenix Suns in the 3rd round with the 13th pick (49th overall). 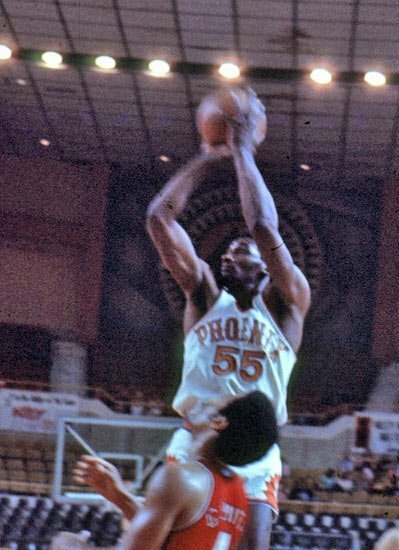 Earl made his NBA debut on October 17, 1974, with Phoenix. On September 30, 1975, he was traded by the Suns to the Detroit Pistons for a 1976 2nd round draft pick, which turned out to be for the other Earl the Twirl from WTHHT! 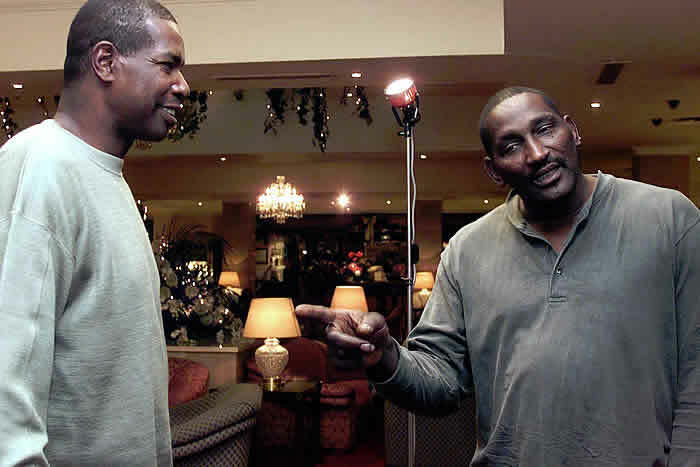 After a stop with the New York Nets, the Celtics signed Earl in September of 1978. He'd appear in 20 games averaging 13 minutes and 6 points and 5 rebounds, leading to impressive per-36 numbers of 16 and 14. 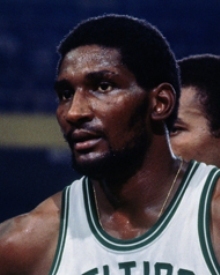 After leaving the Celtics in 1979 at the age of 27, Earl would head over to Europe first to play with the Swedish team called Alvik Stockholm. Very soon after he was off to Israel where he would play until he was 39 in 1990. 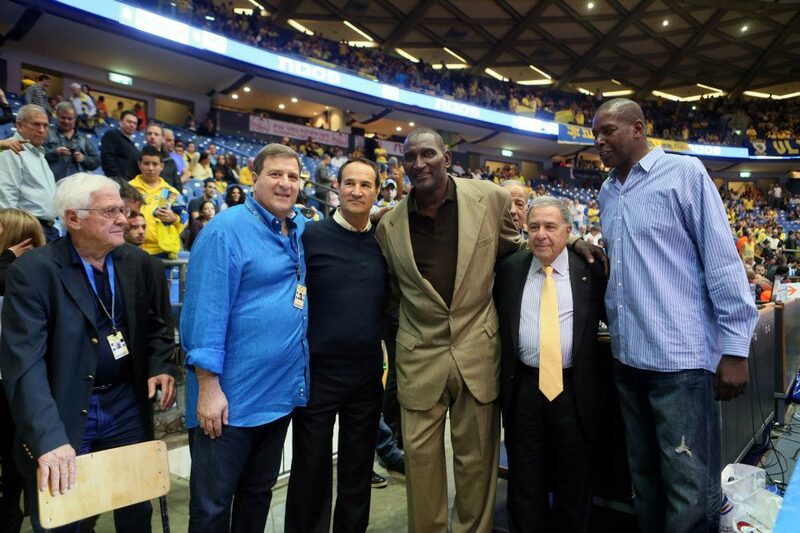 The teams he played for included Hapoel Tel Aviv, Ramla, Maccabi Tel Aviv, Maccabi Ramat Gan, Hapoel Holon, Herzliya and Hapoel Nazareth. For the second time in three years, the Maccobi Tel Aviv basketball team has experienced the conversion of an American-born Black player. Earl Williams, formerly a member of the Detroit Pistons, arrived this week in Israel and told the press he had become a member of the Jewish faith and had taken as his Jewish name Eliezer Ben Abraham. Wait a second so this WTHHT could've possibly been titled "What the Hell Happened to...Eliezer Ben Abraham?" But in all seriousness it seems Earl was a legend in Israel. Many consider him the best forward ever to play for Maccabi whom he played with for four seasons, during which time the club won four Israeli championships and four Israeli Cups. "People only remember my jump and they think I was going to kill someone, but they ignore that it was me the one that almost got killed when Perry threw me down the stairs. I had never been pushed around like that in my life. Had it been someone not called Aulcie, who was my best friend, he would have certainly got killed." It appears teammate Aulcie Perry held him back. 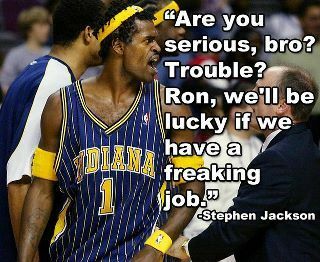 Good for Aulcie, that he didn't play the role of Stephen Jackson to Earl's Artest. Believe it or not in 1991, when Saddam Hussein's Scud attacks on Tel Aviv and Haifa sent most foreign contract players scurrying for cover abroad, Earl stayed put. During the war he spent time visiting and reassuring children, and sealing rooms to protect the elderly from chemical attack. "I thought, I'm not going to leave my people when I was needed. Israel is my country just as much as America. Before converting to Judaism I was a Methodist, and I grew up knowing how to serve the Lord in the right way." Basically Earl Williams was the exact type of player this past season's Celtics' could've used. He is tied with Clifford Ray from 1972 and Enes Kanter from this past season for highest total rebounding percentage rate as a rookie (22%). For those who don't know rebound rate is the total number of rebounds grabbed while he was on the floor. For the record, Brandon Bass' total rebound percentage this past season was 11%. 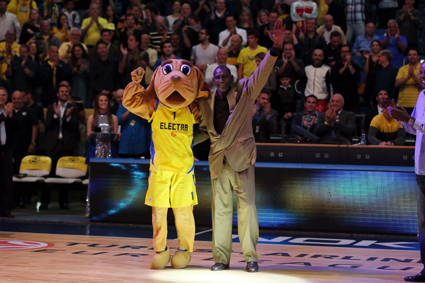 Earl was inducted into the Maccabi Tel Aviv Hal of Fame in April of this year, an honor he was quite moved by. According to trusted source David Pick @IAmDPick, Earl today lives in New Jersey and coaches HS basketball and is also a sports teacher. More specifically according to Zach in the comments section, that high school is actually Garfield Park Academy in Willingboro, NJ. Lastly if you're interested in owning a really cool, authentic Earl Williams Celtics' jersey, you can find out more on it here.